Morgan Stanley and Merrill Lynch are looking like the financial equivalent of The Grinch Who Stole Christmas. Both their employees and, more importantly, their clients will experience a post-holiday hangover from their new 2017 policies. “Sell to us, rather than help us” seems to be the motivating force driving these new edicts from upper management. 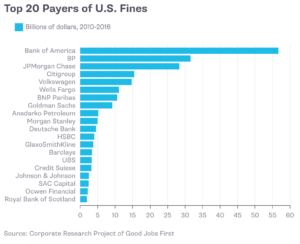 They are a textbook example of all that is wrong with the commission-driven sales model and are a magnet for the fines that are sure to follow their implementation. How in God’s name does this benefit the client? All it does is cause a stressed and pressured broker to push a product onto a client that he might not need, like a credit card or a home equity loan. Even if clients did desire the particular products being hawked, they could surely find them somewhere else. Another firm could, most certainly, offer better terms and a cheaper price. I guess upper management did not get a chance to view the public dismemberment of former Wells Fargo CEO, John Stumpf, in front of a national audience. No need to watch the cringe-worthy replay; they will most likely get their own chance to grovel in front of Elizabeth Warren pretty soon. Not to leave out our friends at Wells Fargo; they have been recently accused by The New York Times of signing up clients for life insurance products without their knowledge or permission to meet sales quotas. For good measure, many of these clients did not speak english! Conflicts of interest: The gift that keeps on giving. A broker who generates $220,000 next year, for example, will get paid 28% of that revenue under the 2017 compensation plan, the lowest hurdle. This year, $220,000 in revenue would have netted the same broker a 32% payout. If the broker wants to maintain his 32% payout in 2017, he would need to produce an additional $22,000 in fees and commissions. That extra $22,000 will have to come from somewhere. Can anyone say Class A fund shares with 5% upfront loads or expensive and unnecessary variable annuities for retirement accounts? The brokers could also fall back to the old reliable policy of hocking the firm’s banking products to make up for any investment product sales quota shortfalls. This ‘good old boy’, sales driven way of doing business is outdated and outrageous in the modern age of information. Bad incentives cause bad behavior. This is the way it is, and always will be. Will these guys ever learn? I guess the real question should be: Do they really want to?